It helps the children to stain some basic slides and gives them a hands - on- experience. It consists of test tube, dropping pipet and three kinds of stains I. E. Gention violet, methylene blue and hemotoxalin. Suitable for finding out melting point of powders, max. temp. up to 325°C is obtained within 15 minutes. 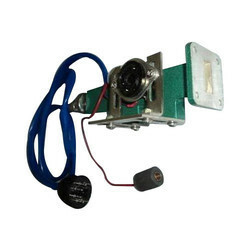 The sample is illuminated by a lamp and viewed through a magnifying lens suitable for 230 volts, single phase AC complete with wire, plug, but without thermometer and capillaries, ready to switch on. We are offering T.R.S Meter Electric to our client. - The Fuchs-Rosenthal Counter is one piece construction ensuring durability and accuracy, featuring a Fuchs-Rosenthal ruling on a single plateau. - TheFuchs-Rosenthal Counting Chamber is used for Cerebro-Spinal Fluid cell counts. We are manufacturing and supplying a wide assortment of Scientific Laboratory Instruments. These products are highly demanded by the customers for their exceptional finishing and supreme performance. We are reckoned entity, actively occupied in offering a high-class series of Animal Isolator. These are available at nominal costs. With offered Scientific Instruments, we have been meeting and exceeding requirements of each client and their business application. - A powerful instrument hardware platform, the CPU frequency 400M, can quickly complete complex calculations, intelligent defect analysis. 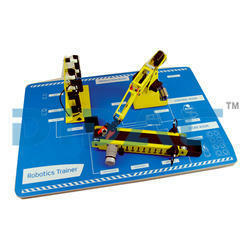 - Using of mature and stable embedded operating system, to ensure the stability of the instrument.